What do you do with your child the night before they have to be put under anesthesia? 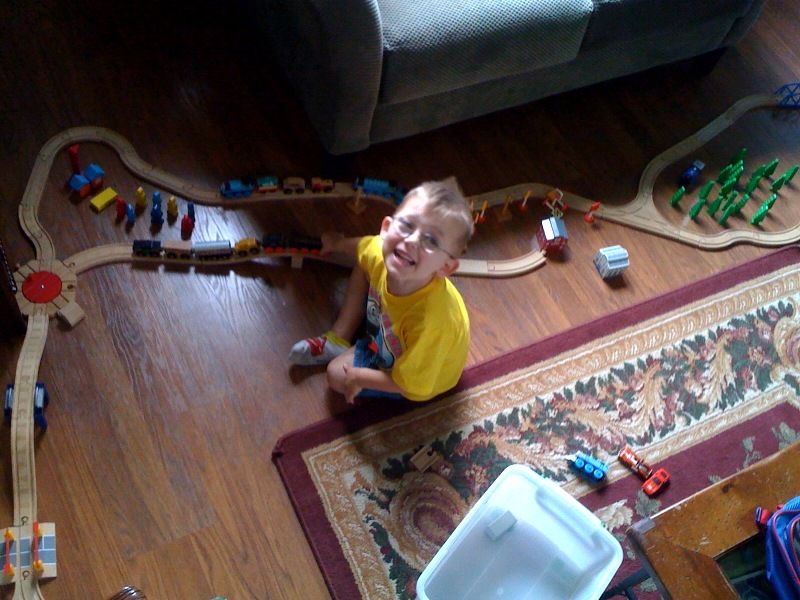 That is why I helped little T.Puzzle reassemble his train track that we had put away the night before. I had to painstakingly put all the little signs, houses and trees just where he wanted them. And you know what? I’d do it all again if it makes him happy. ahh that is so sweet and I bet Frick had a blast!